This page is about the aircraft F-84G-21-RE. For other uses, see F-84 (Family). 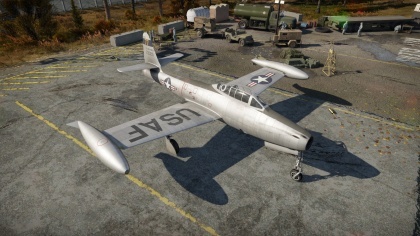 The F-84G-21-RE is a Rank V American jet fighter with a battle rating of 7.7 (AB/RB) and 8.0 (SB). It was introduced in Update 1.77 "Advancing Storm". 1 045 320 550 ~?? ~? 6.35 mm Steel plate in front of pilot. 12.7 mm Steel plate in pilot's headrest. 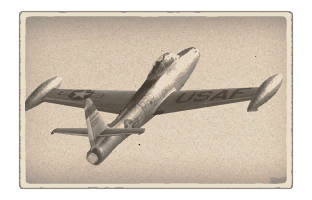 The F-84G-21-RE can be outfitted with the following ordinance"